AM 1160, the Quest is here, Atlanta! We have been hard at work making our listener-supported radio station, AM 1160, the Quest, a reality. We’ve received the approval of Archbishop Gregory, assembled an incredible team of volunteers, purchased a station, and secured top-notch programming. Tune to AM 1160 or listen live online. Support Atlanta Catholic radio. Donate today. ACR is a nonprofit, 501(c)(3) corporation that expands access to Catholic radio programming, sharing God’s message of love and mercy throughout metro Atlanta. In April 2018, our listener-supported radio station, AM 1160, the Quest, went on air under a lease agreement, and on October 12 we purchased the station. We are supported by a dedicated team of talented volunteers – from business professionals to homemakers – who give their time to help manage the operational, technical, and spiritual facets of the station. We have tremendous support from the Archdiocese of Atlanta and local Catholic organizations, as well as guidance from Catholic radio organizations throughout the U.S.
AM 1160, the Quest is a new, non-commercial AM/online radio station that provides access to Catholic radio programming throughout metro Atlanta. 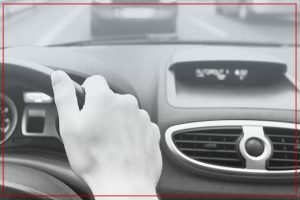 We operate a large, 50,000-watt AM station capable of reaching 3.1 million metro Atlanta commuters from dawn to dusk, as well as provide global 24/7 access through our website. Our programming is rooted in the teachings of the Catholic Church and engages listeners through diverse program formats that include prayer, reflection, and interactive talk shows and podcasts. Our mission is simple and powerful– To invite, inform, and inspire listeners to embrace their journey of faith through the beauty of the Catholic Church. When designing the logo, we tried to convey this journey of faith, that movement of taking the next step in your faith journey from wherever you are. 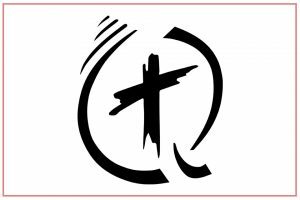 Our “Q” parallels our mission to invite, inform, and inspire through Catholic radio. We opened the circle of the Q to show that we are a community, open and welcoming, and that we also need to go forth and share our faith. Starting with the tail of the Q representing a path inviting people into the community, we find the cross at our center. Here we encounter Jesus and share His Good News with our listeners. Finally, we invite those informed listeners to go forth, inspired to share the love and joy of Jesus with all they meet. The waves on the side represent not only radio waves but the “pebble drop” effect of spreading the good news and energizing a movement to ignite Atlanta and especially to energize the Atlanta Catholic community. The waves also represent the movement characteristic of Atlanta, a city that is always on the move. The black cross represents an Ash Wednesday cross to allow all Catholics, whether in our pews or away, to identify with their Catholic roots and embrace their faith journey. We chose a font that was italicized to show the movement of the journey and the call to embrace the New Evangelization and go forth and create more disciples. We are excited you are here, and we’d love to start a conversation.